We provide a growing number of consultant outpatient services and clinics at locations in the local community we serve. It means that our expert hospital trained staff are delivering clinics close to home for patients. 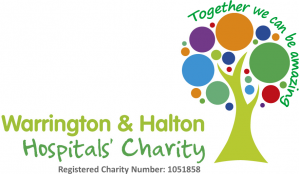 People living in and around Newton-le-Willows can now access some hospital outpatient services closer to home.We are providing clinic services from the Newton Community Hospital facility on Bradlegh Road. Patients can have their initial appointment with a hospital specialist closer to home. Local GPs can refer their patients to the services through the Choose and Book system once they decide that the patient needs a hospital opinion. Ask your GP about referral to these clinics. We provide a paediatric consultant service at Crow Wood Health Park in Widnes. This service allows people living in Widnes to access paediatric appointments closer to home without having to travel to Warrington Hospital. Local GPs can refer their patients to this service through Choose and Book. Ask your GP about this service. Crow Wood Health Park, Crow Wood Lane, Widnes WA8 0LZ. We provide services at the Health Care Resource Centre at Widnes where our vascular teams visit the centre to provide clinics close to home for Widnes residents. Local GPs can refer their patients to the services through the Choose and Book system once they decide that the patient needs a hospital opinion. Some physiotherapy services are available on a self referral basis. 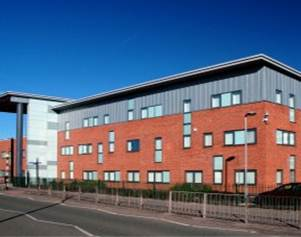 Health Care Resource Centre, Oaks Place, Caldwell Road, Widnes WA8 7GD..